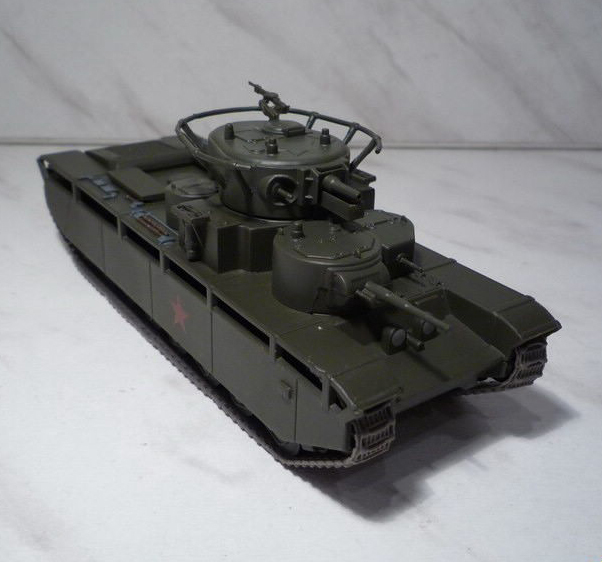 Assembled and painted model of a tank in 1/72 scale. 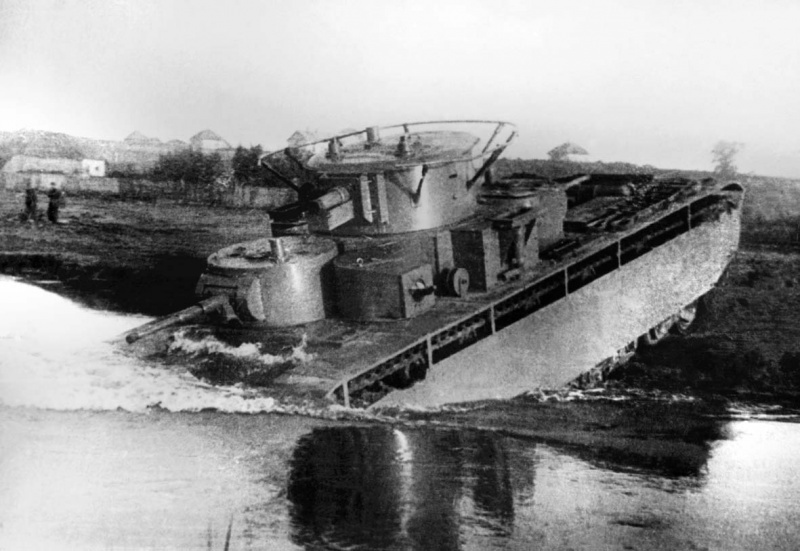 T-35 into service on Aug. 11, 1933 and from 1934 began to enter the army. 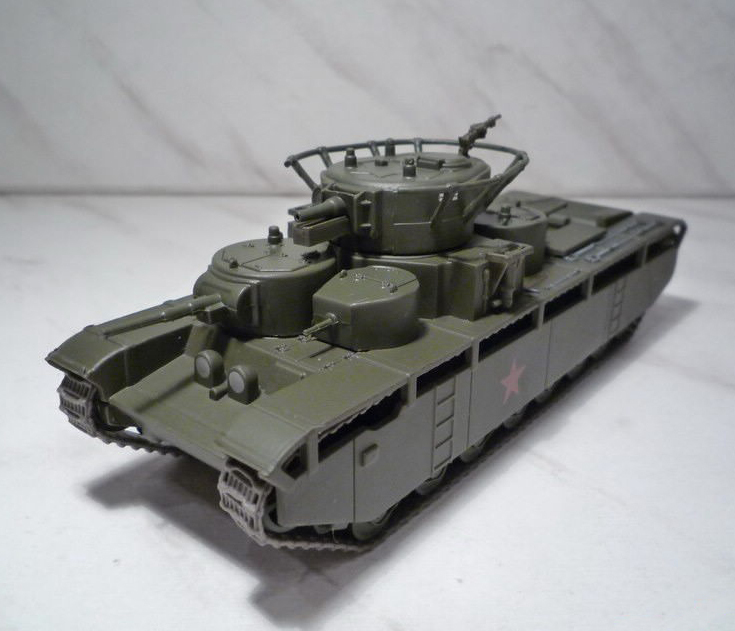 By 1941, T-35 is completely obsolete, but with the weapons were not withdrawn. On June 22, 1941 the Red Army of 48 T-35 tanks, consisting on arms 67 th and 68 Panzer Regiment 34 Panzer Division - the Kiev Special Military District. Others were in the custody of military schools and test sites. All T-35 available to the 34-th PD, at the beginning of the war were in the area Rava-Russkaya and were lost in the first days of fighting. While only 7 tanks were lost directly in battle, 6 at the start of the war were under repair, and other 35 dropped out of service due to malfunctions, broken on the march and were abandoned or destroyed crews. 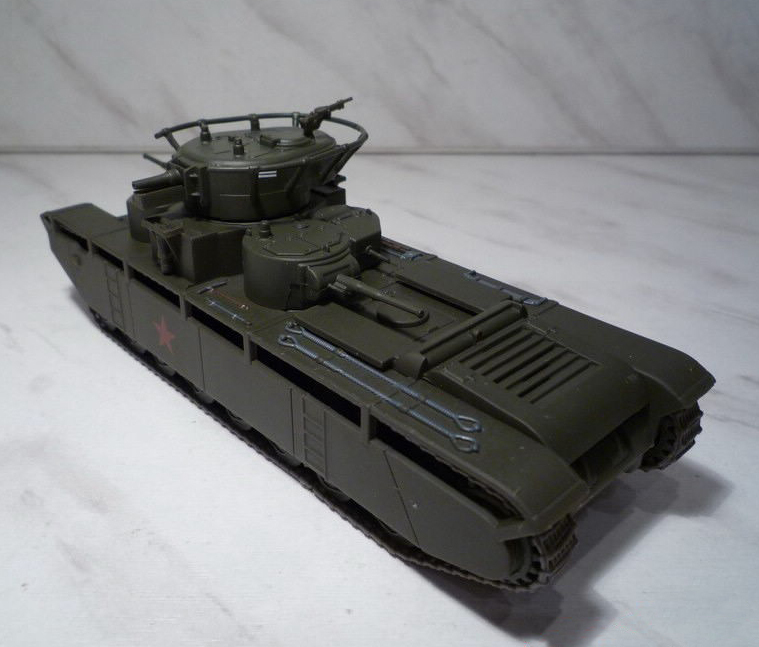 Recently the use of T-35 tanks (2 pieces) noted during the Battle of Moscow. Combat weight - 50 tons. Speed on the highway - 29 km/h, on rough terrain - 14 km/h.